SMS marketing is tough, and we understand that. With our expertise, you can make some outstanding breakthroughs. Here is where Textedly makes a difference because, with it, you have 95% greater chances of success. Consumers like Textedly! Our unique and convenient features are the reason for that. We make your job and life easier, but we also create a much more interactive experience for your own clients. We are proud of what we do, and each and every feature is designed to serve you as a valuable tool in your marketing efforts. Clicking one button and sending as many messages as you want? Sounds good? That’s because it is, and it’s so easy! With our clear interface, notify your all subscribers at once. With our own built-in calendar, you can schedule messages when it suits your clients the most. Select and time and date – and you won’t have to think about it ever again. You do not need to create each message personally. With automatic replies, the sender will get the corresponding answer in a matter of seconds. If you are interested in the nitty-gritty details, you can find them all in our analytics. They will show all the info you need through visual and interactive graphs and metrics. All messages and information being sent through our service is 100% safe and secure, and with the industry’s best SSL technology, everything is encrypted – because we respect your privacy. You see, with Textedly, everything is about quality rather than quantity. We want to provide you with extra experience in using our SMS marketing software and we guarantee that you'll be able to see results as soon as you start using it. This is why your feedback is so important to us. 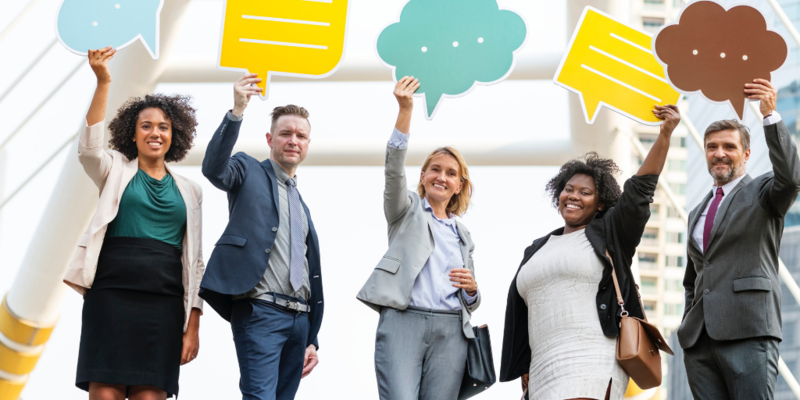 Not only will it help us improve your service, but we will also provide you with more tools and features – which will only make your business run more smoothly. Your goals are our goals. We can help your organization, regardless of how big it is. Small, medium, or large business, all of them can reap the benefits of Textedly. Why is Textedly so popular? 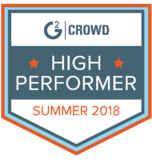 Textedly is an SMS Marketing web-based self-service platform that was ranked as a High Performer in its category on G2 Crowd for Spring 2018 and Summer 2018 . 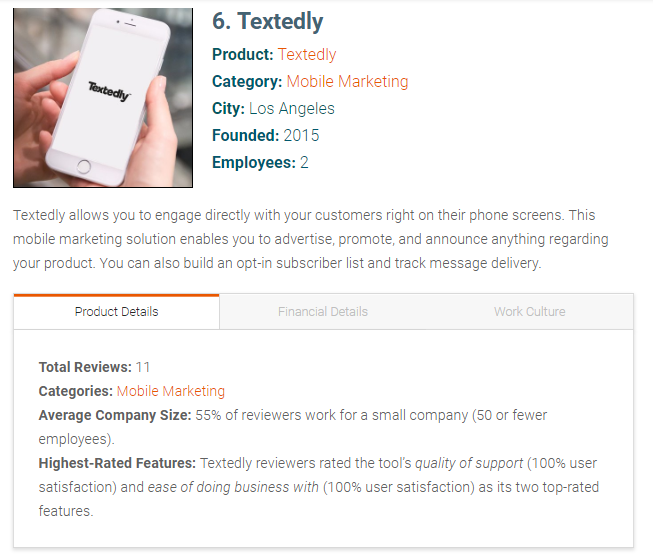 Textedly is aimed towards businesses of all sizes and, with this SMS marketing tool in your hands, you'll be able to do amazing things. Businesses are always searching for the best SMS texting platforms and services to improve their performance and grow their customer base. The goal of each company is to gain more consumers and increase sales. Each business that leans on Textedly will gain leverage over their competition quickly and easily. Someone would ask: "How is this possible?" The answer is simple. It's possible simply because those businesses that started using Textedly noticed a real difference. You'll gain absolute control over your marketing while gaining increasingly more customers every day. Growing your business has never been easier, so check our platform and let it change your game for the better. 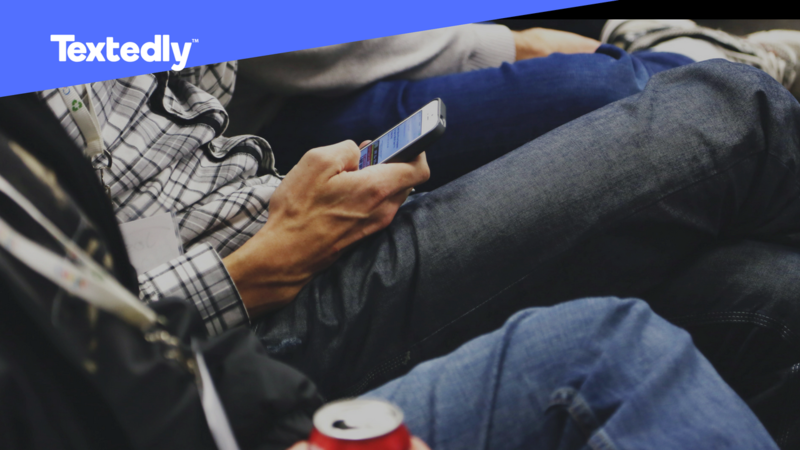 Try the world's best Text Messaging platform. Get started today with a 14 day risk-free trial. 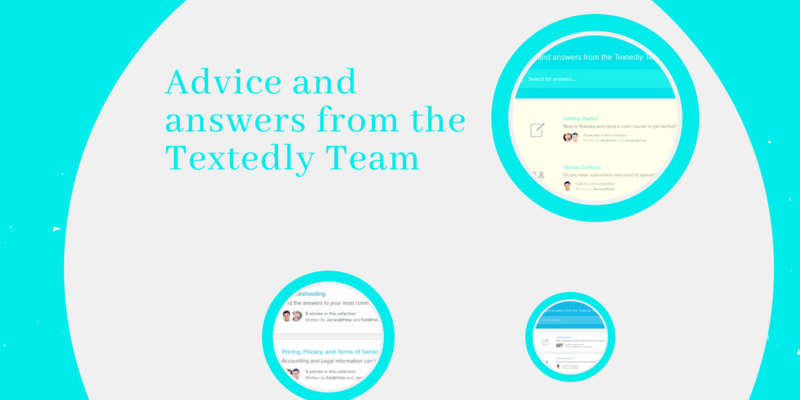 Textedly is a web-based self-service SMS marketing platform. The company was established in 2015 but has already achieved a high evaluation rate and trust from its customers. 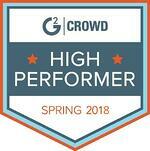 Textedly was ranked as a high performer in its service on G2 Crowd for 3 consecutive seasons of Spring, Summer, and Fall 2018. The company works with businesses of all sizes, as well as restaurants, schools, real estate, service providers, and even religious enterprises.